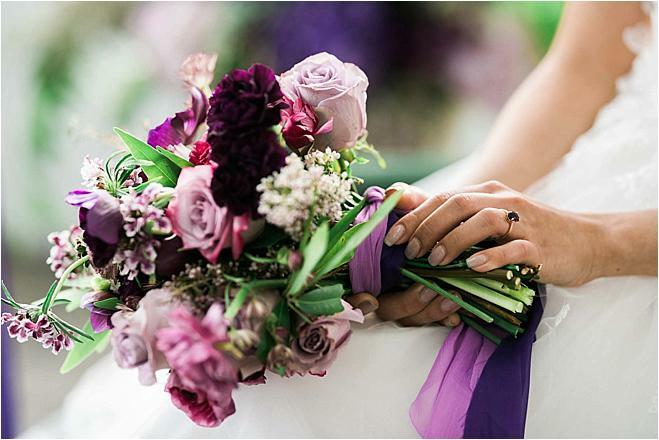 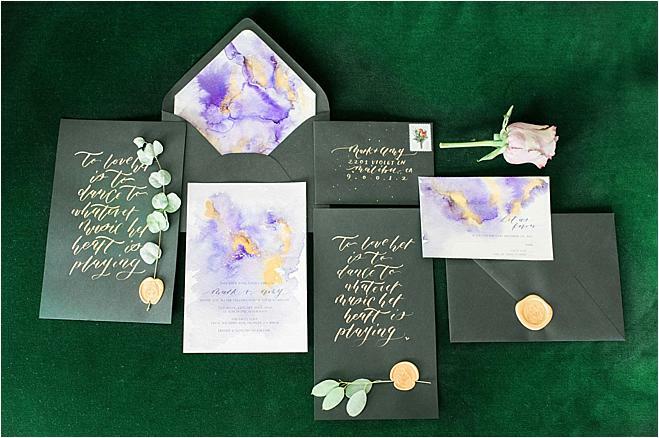 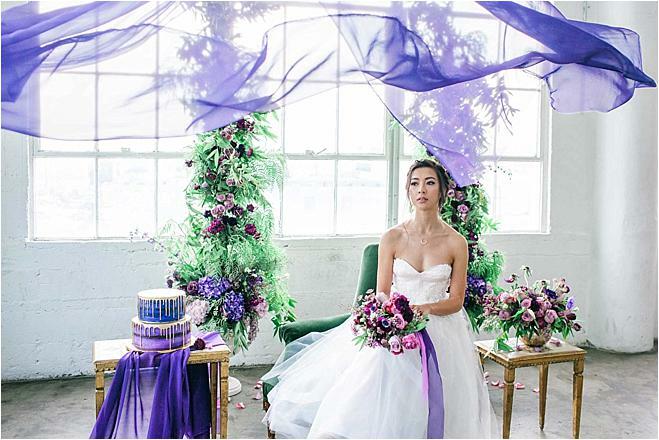 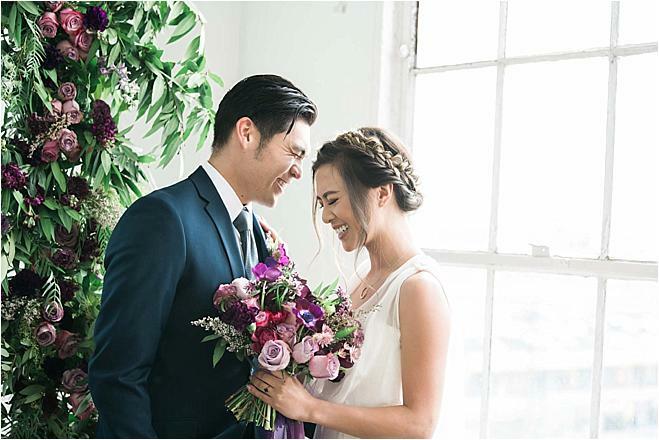 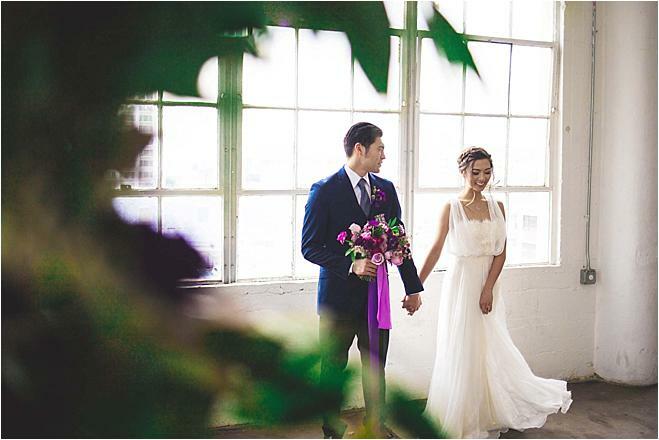 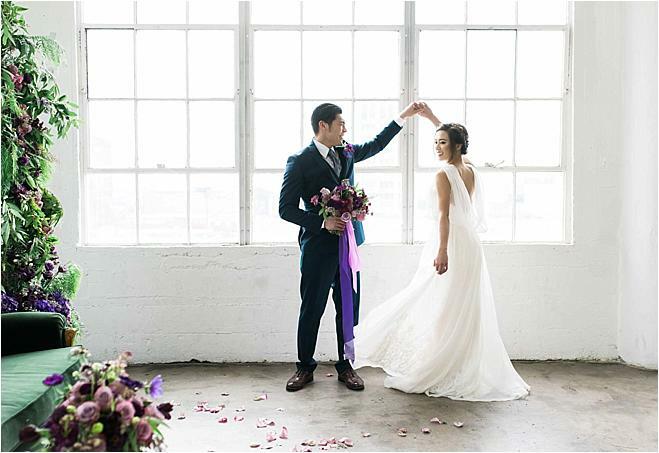 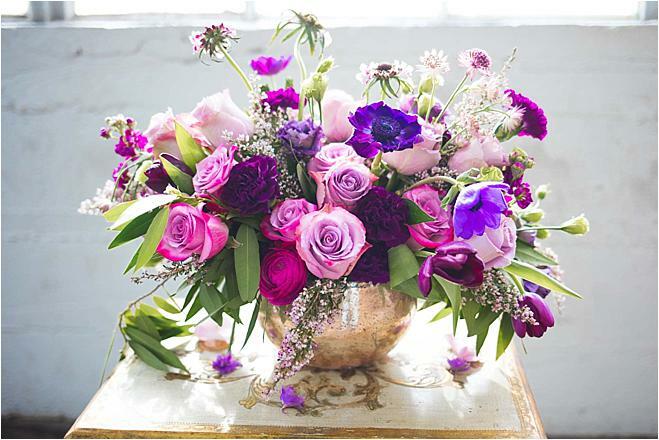 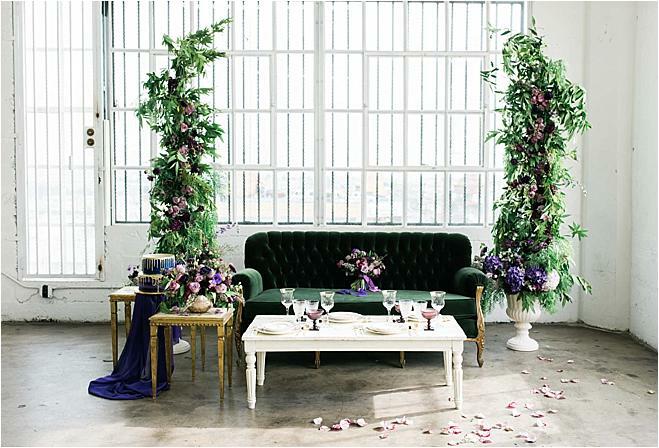 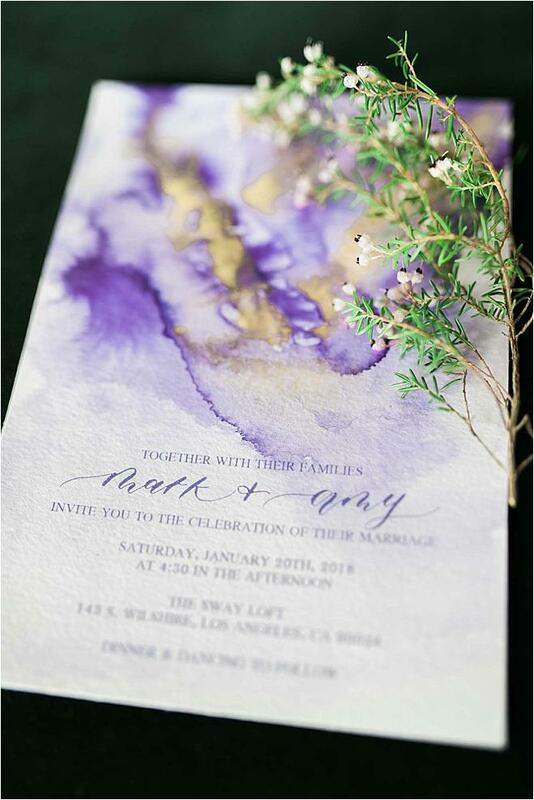 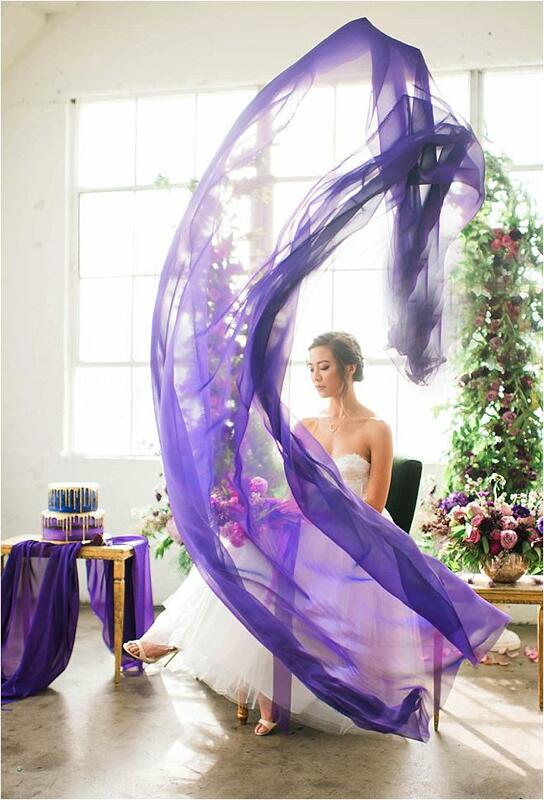 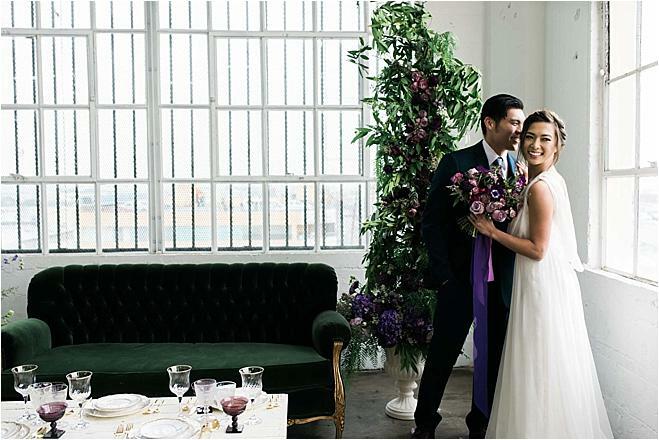 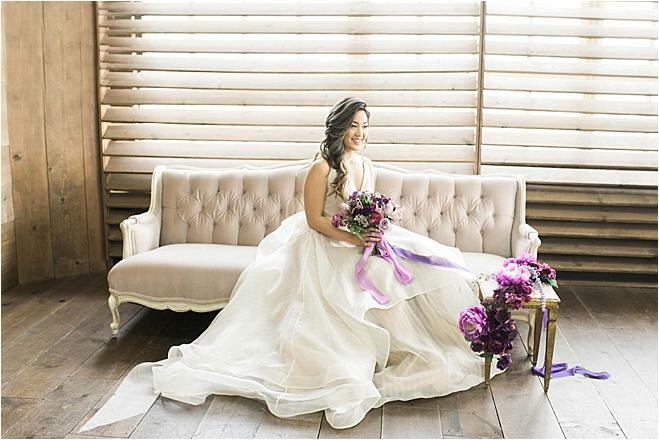 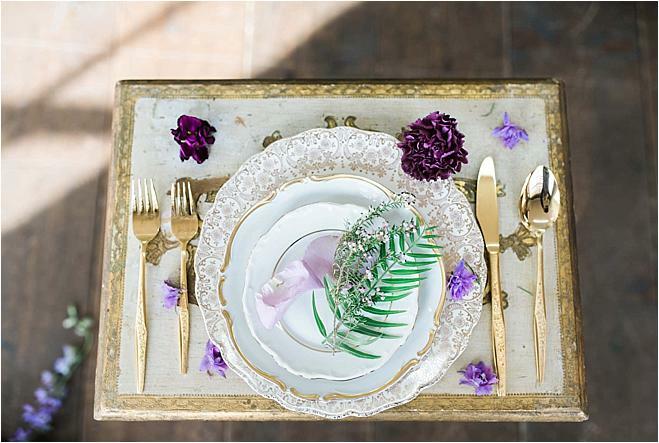 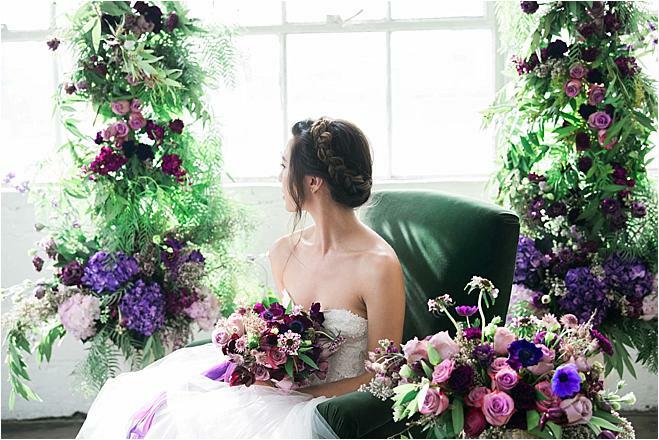 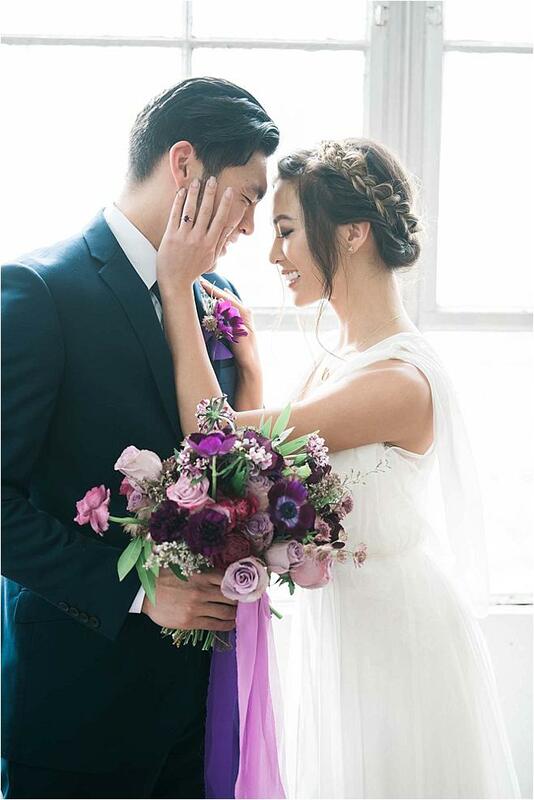 Inspired by the pantone color of the year, ultraviolet, this styled shoot combines the emotion "evoked by love and dance" and moody hues of purple and green to showcase the "progression towards a journey for peace," and we're totally here for it. 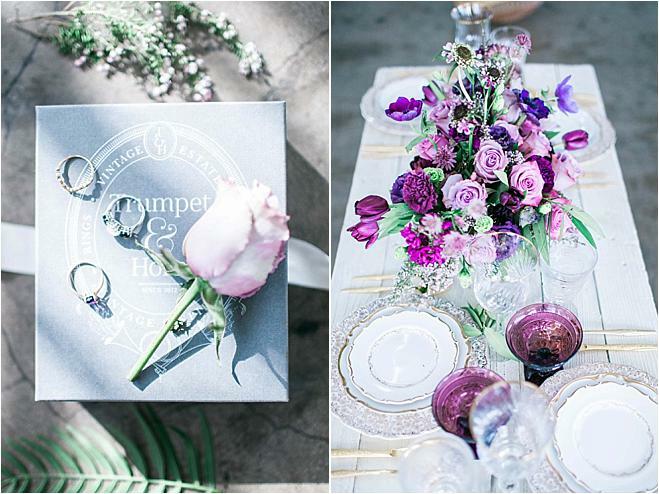 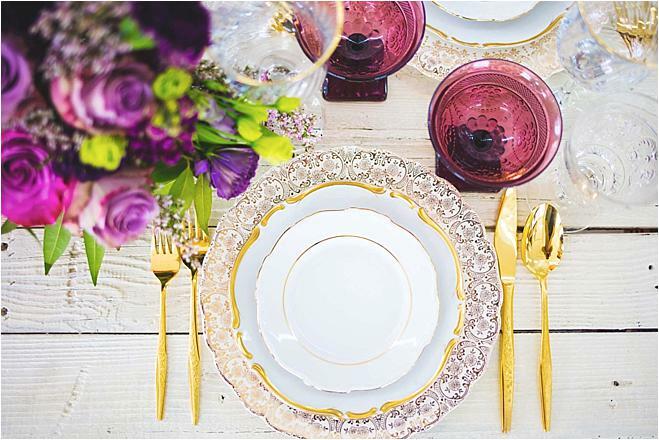 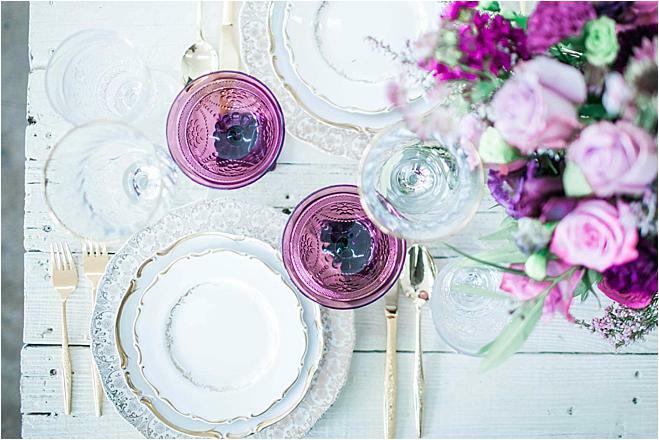 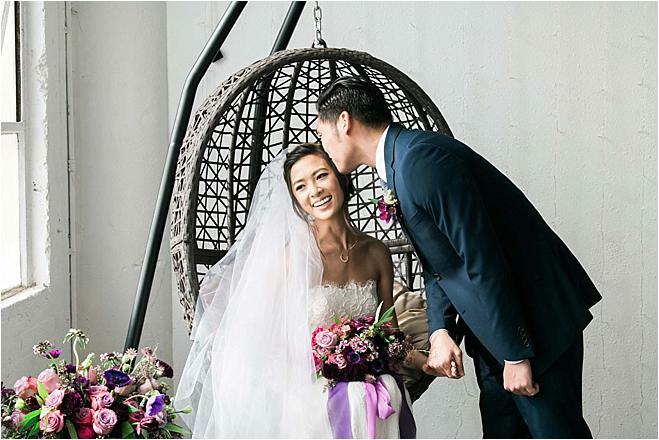 Purple is all the rage for this wedding season, and the incorporation of gorgeous pink and purple-hued blooms paired with dramatic forest green invitations and furniture made for the perfect pairing. 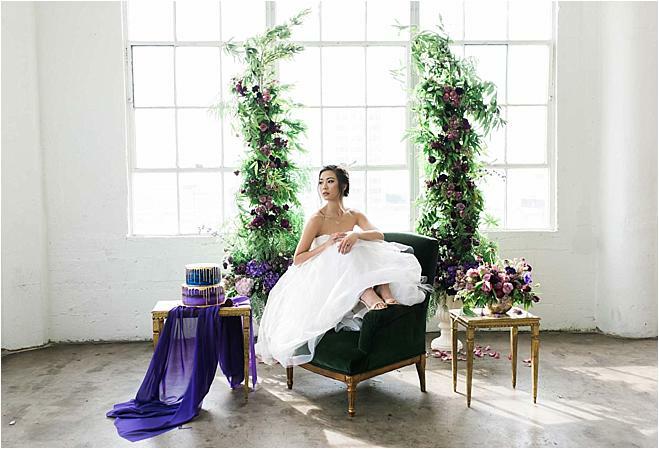 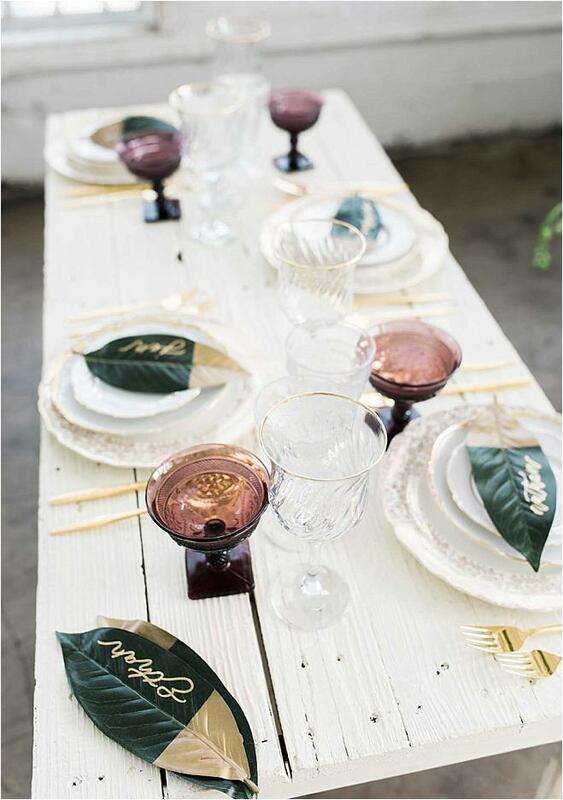 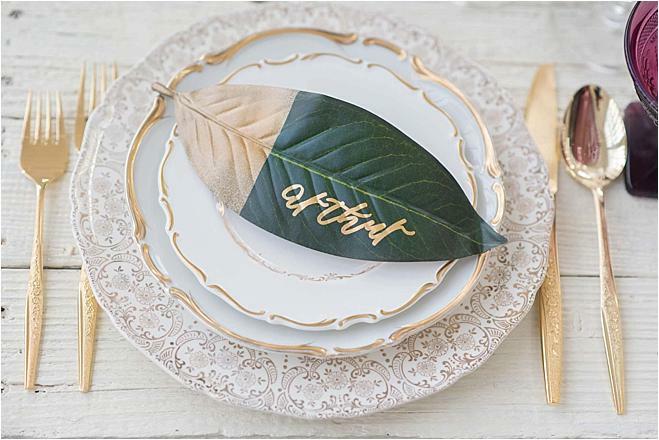 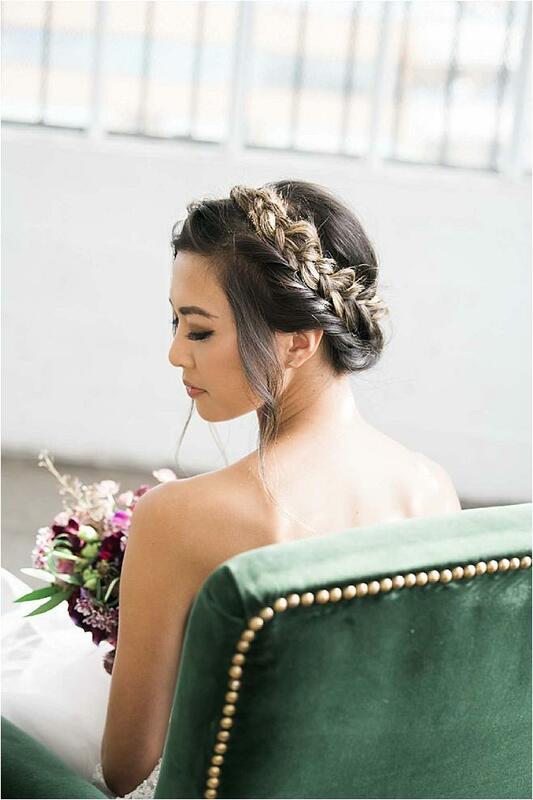 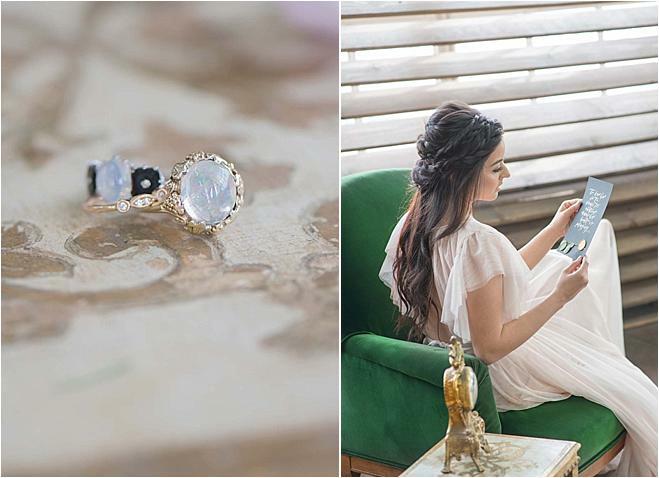 Planned and styled by Campfire Events and photographed by Carissa Woo, this styled shoot encompasses the most beautiful details and an unparalleled elegance. 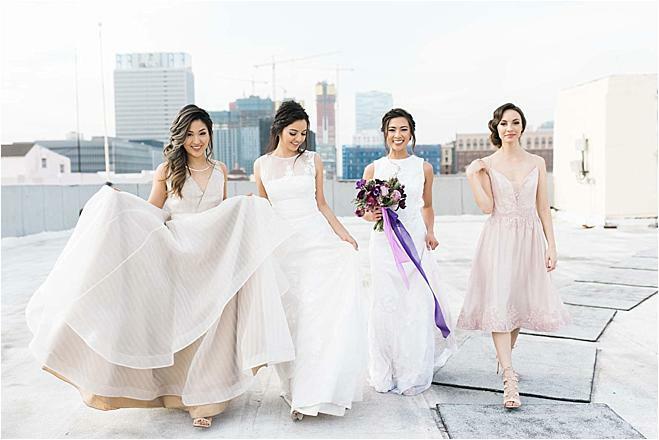 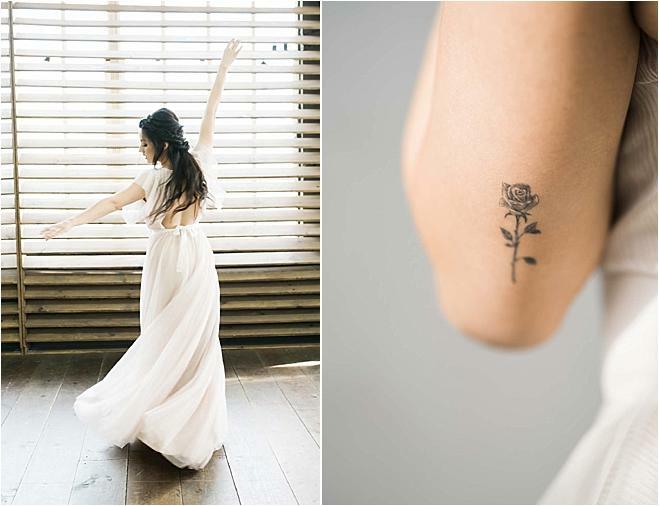 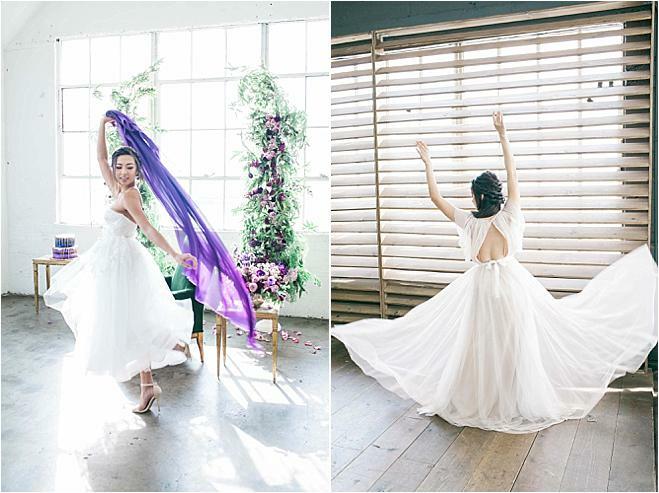 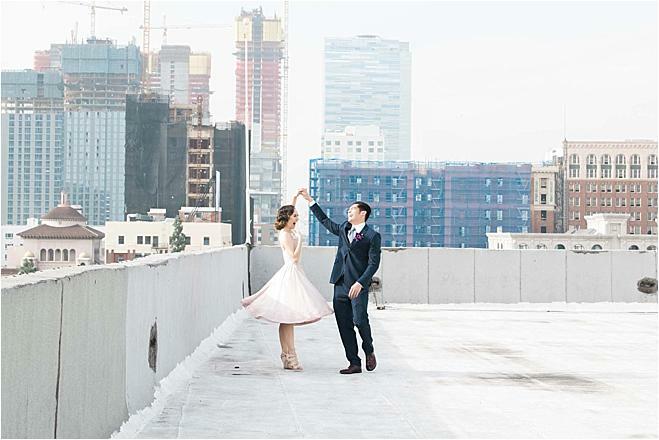 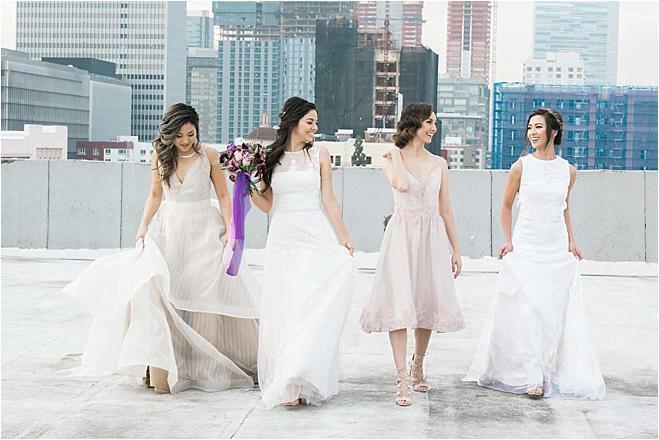 Gorgeous flowing gowns from Vene Ai Studio brought movement to the shoot, while regal rentals with pops of gold from Sweet Salvage and Cherished Rentals added that special sophisticated touch. 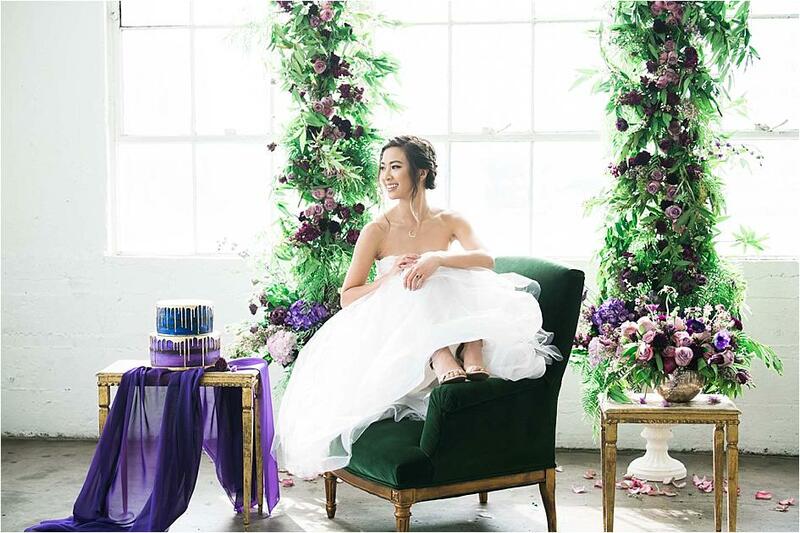 Lovenote Events crafted a breathtaking bouquet of pink and purple-hued flowers, while a decadent cake from Sweet Bees Bakery showcased a blue and purple palette adorned with dripping gold icing to top off this one-of-a-kind styled shoot.